When looking for a mid-telephoto prime lens, you are not short of choices. 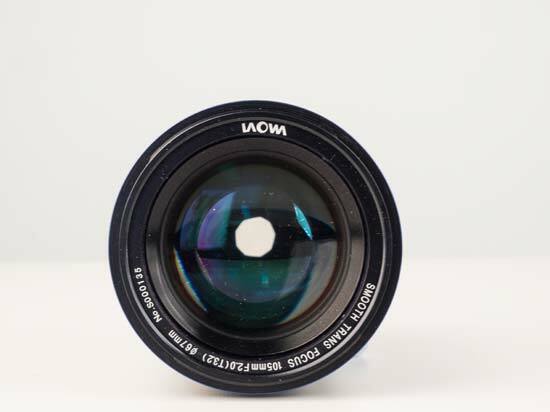 For any given DSLR / mirrorless lens mount, you may have five prime lenses between 85mm and 135mm, including the same focal length as the Laowa 105mm f/2 (T3.2) STF lens on test here. So why consider Laowa’s offering? After all, at £749 it’s a relatively expensive manual focus only lens, without electronic communication between camera and lens. The trick up the Laowa lens’s sleeve is its apodization element, which is a rare thing. What benefit does this apodization element bring?  Well, it is designed to produce unparalleled smoothness and pleasing bokeh in out of focus areas. This is a lens unapologetically designed for shooting portraits. We’ll give more details about the apodization element later in the review. 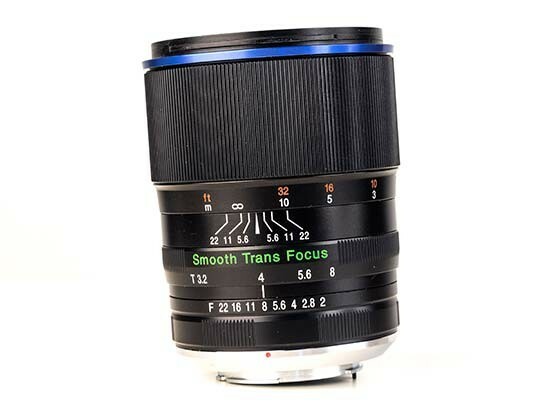 Laowa labels the unusual lens design as STF (Smooth Transition Focus). 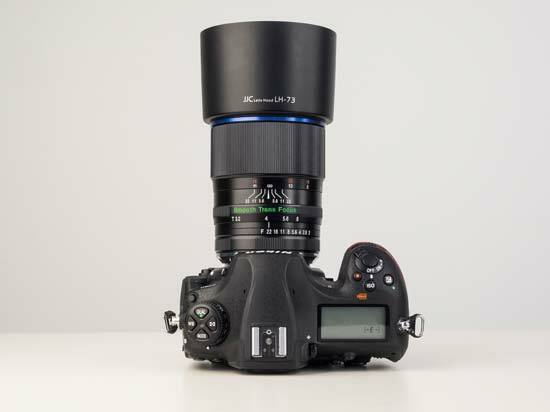 The only other full-frame STF lenses we are aware of are from Sony, being the autofocus FE 100mm f/2.8 STF GM OSS (£1,600) released this year and the manual focus 135mm f/2.8 STF for Sony A mount (£1,000) from 1999. 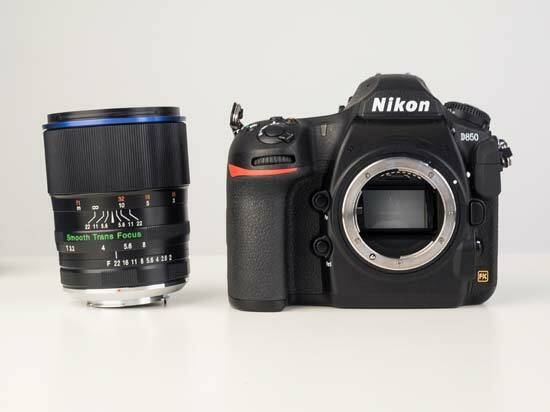 When it comes to other similar lenses that are also designed to provide lovely out of focus areas, another lens that comes to mind is the Nikon 105mm f/2 D AF DC lens, the DC standing for Defocus Control. 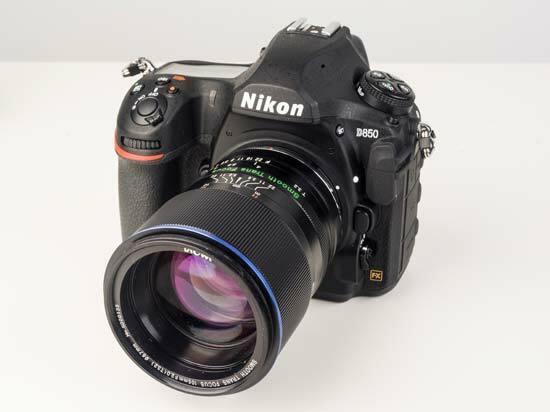 It’s the most obvious Nikon competition and this is an autofocus lens at £900. 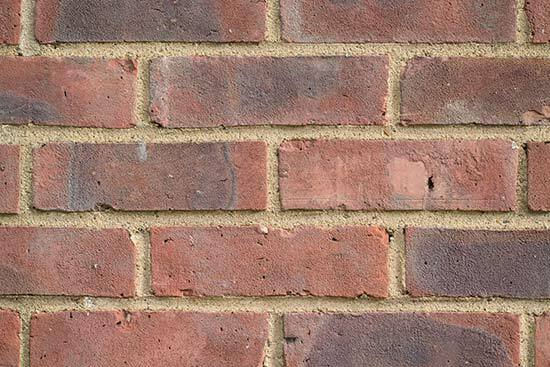 For our test we have been particularly interested in this unusual STF technology. 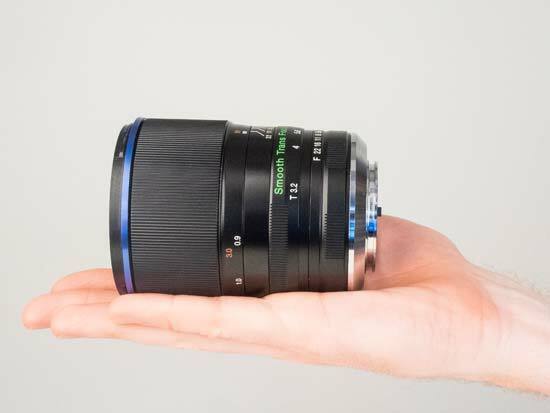 Read on to find out how we got on with the Laowa 105mm f/2 (T3.2) STF lens. 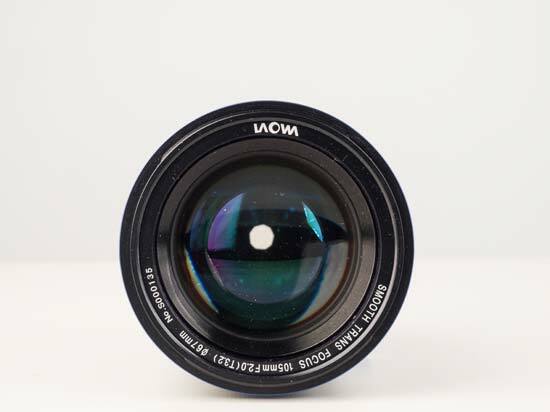 For more information and to buy the lens, please visit the UK Digital website. We have to get right to the main point and that is about focusing. 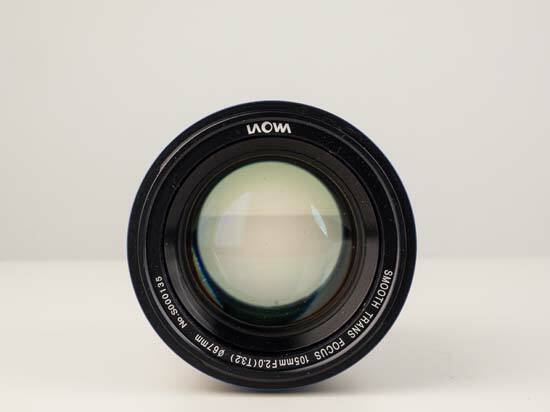 The Laowa 105mm f/2 (T3.2) STF lens is a manual focus lens only. There are some lenses where autofocus is less important and there are others that really benefit from it. 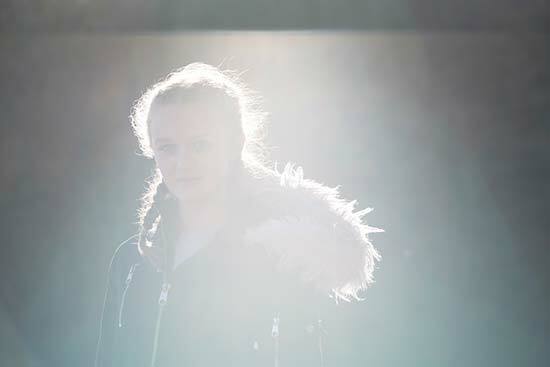 Unfortunately in this case, a 105mm wide-aperture lens ideal for portraits could really do with autofocus. 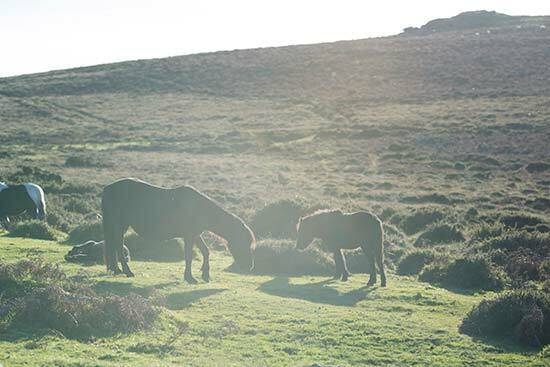 Getting that pinpoint sharp focus on moving subjects is exceptionally difficult when focusing manually. It’s not only about having a good eye, it’s about having superhuman reflexes that this experienced reviewer does not have. Of course, if the subject is static and one has the opportunity to manually focus precisely, then sharp focusing is less of an issue. During our test we photographed adults and children. It was very difficult to get sharp shots especially when using wide apertures like f/2 to f/4. For the type of work that this lens is perfect for, AF would really help. Focusing aside, the Laowa lens impresses immediately. We recently reviewed the Laowa 12mm f/2.8 lens and the design of the two lenses is very similar. At 745g, it’s a really weighty, all-metal lens. Aperture and distance markings are engraved on the lens barrel rather than painted on - it’s a lens that should stand the test of time. We were slightly disappointed with the supplied lens hood. Of course we expect a lens hood to be plastic, but this one feels a tad flimsy and more frustratingly does not lock off as securely onto the lens as we’d hope. 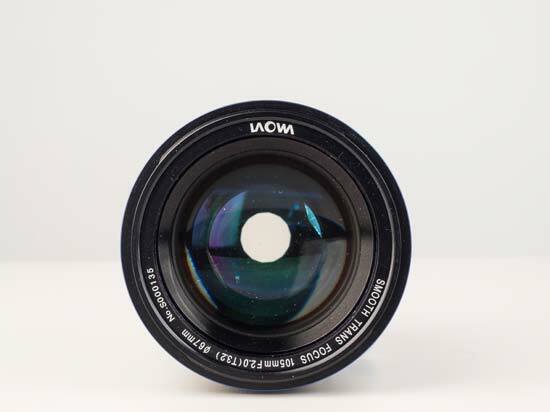 The focusing ring is positioned at the front of the lens barrel and is wonderfully large - you can’t miss it even with your eye pressed against the camera viewfinder. You get a good grip of the finely grooved ring which in use has a smooth and silent focus rotation. 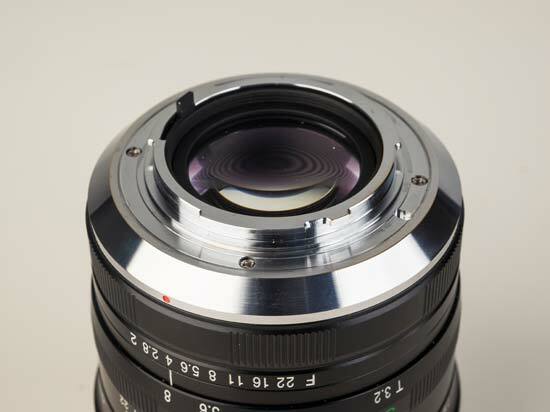 To focus from infinity to the 0.9m close focusing distance requires a 270° rotation of the focus ring. Depending how you hold the focus ring, it should take three rotations to get from one extreme to the other. Changing focus is slow and smooth no matter how urgent the user moves the ring.  Such a slow and smooth focus benefits video work and in particular makes micro-focus adjustments easier. Such precision is no bad thing for a manual focus mid-telephoto portrait lens with wide maximum aperture. In practice you can bracket focus to ensure the focusing in one of your shots is on the money - a necessary practice, really. The downside is that if you need to shift from one focus distance extreme to the other, you won’t get there fast. 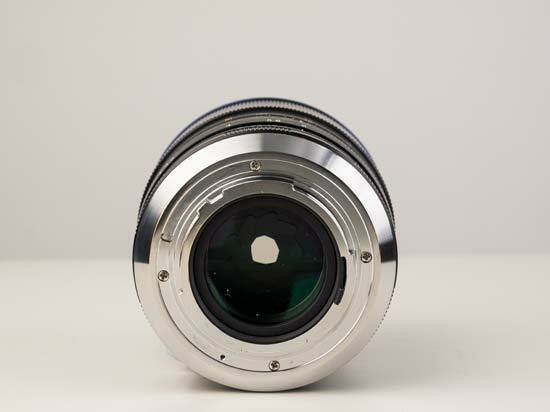 The aperture ring at the rear of the lens is clicked in even steps between its eight apertures, ranging from f/2 to f/22. There is no bunching of the smaller apertures like in other lenses where it can be hard to feel which aperture is selected. Then in the middle there is the Smooth Transition Focus STF ring which operates the apodization element. In plain English it’s like a second aperture diaphragm, with click-less aperture values ranging from T3.2 to T8. If you are confused at how T differs from F when it comes to aperture, well T is used in cinema lenses and denotes the ‘true’ aperture known as light transmission. In reality the values are very similar - you can expect a T3.2 aperture to accept a similar amount of light to f/2.8. The two diaphragms can be used independently from each other. Whichever diaphragm you are operating, the other one should be set to wider aperture value. eg with the STF ring set to T3.2, the f/stop should be f/2 or f/2.8. When combining the two diaphragms together, severe vignetting and loss of light intake is introduced. Where the diaphragms differ, is that the STFdiaphragm affects light transmission but not depth of field, where as the f/stop diaphragm affects both. 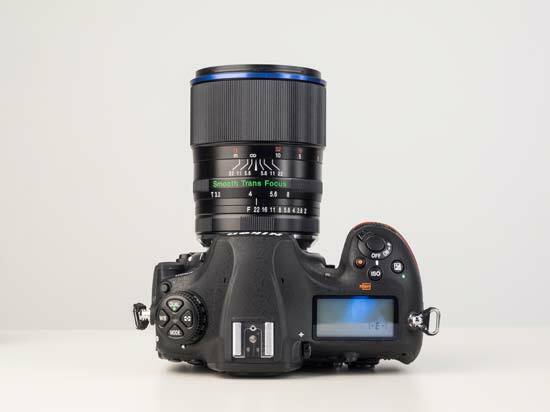 Ultimately you have a choice between a clicked and a click-less aperture ring, making this lens ideal for both video and photography work. Regarding the effect on image quality, what the STF ring is designed to do is compliment the sharply focused areas with smoother out-of-focus areas and a more pleasing transition between the two. 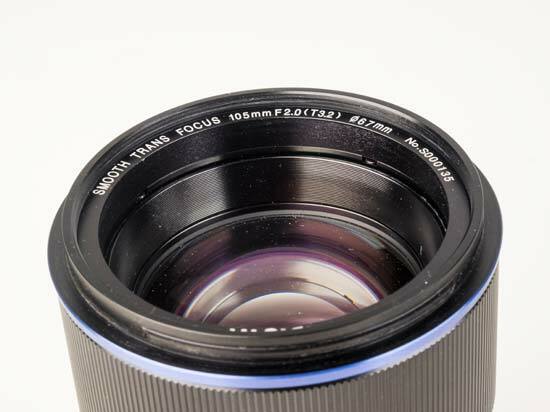 As well as being manual focus only, there are no electronic contacts on the lens mount. 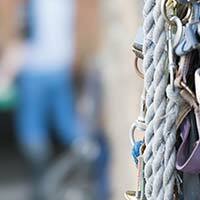 You won’t get any true EXIF data in your images. If you really want to know the exposure values such as shutter speed and apertureof your images, you’ll need a method of noting these down by hand. We had the Nikon fit version of the lens and when attached to the Nikon D850 the aperture value is displayed as f/0 no matter what settings are on the lens. The camera will meter through the lens to provide the correct shutter speed with the selected aperture, so that is one less thing to worry about. However, the metering accuracy can be affected by the choice of aperture. All in all, the look, feel and durability of the lens is top notch. Yet when it comes to handling, we sorely missed autofocus. 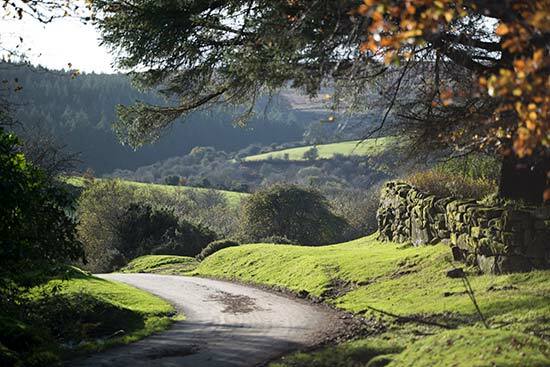 The 105mm focal length gives an angle of view of 23.16° on a full frame sensor. We have taken our images in raw format and with all lens corrections turned off to ensure any lens distortions are present. Having looked through multiple images for chromatic aberrations in the form of purple and green fringing, we have struggled to find any. What's more impressive is that we couldn’t see fringing where we might expect it in out-of-focus areas (more on this in Out-Of-Focus Areas section). Where we could find fringing, it was minor and easily corrected in basic editing software such as Adobe Lightroom CC.Impressive control over fringing is thanks to the apodizaton element and relatively complex lens design, with11 lens elements in 8 groups. 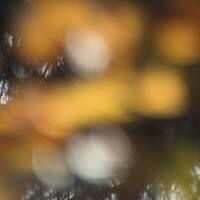 By the look of our images, light fall-off (vignetting) is pronounced when the lens is wide open at f/2.  We estimate vignetting to be approximately 1EV. This light fall-off is more like 2/3EV at f/2.8 and 0.5EV at f/4. Come f/5.6 and light fall-off is mostly gone. Depending how you like the look of portraits, vignetting can appear rather tasteful because the focus is drawn to the lighter central part of the picture which is typically where your subject is. Of course vignetting can for the best part be corrected post capture. Currently there are no profiles for Laowa lenses in software such as Adobe Lightroom CC, so corrections have to be made manually. Mid-telephoto prime lenses are known for controlling distortion well and the Laowa 105mm STF f/2 lens is a case in point.Barrel and pincushion distortion are nigh on negligible. Straight and horizontal lines are essentially perfectly straight. Top drawer control over distortion is one of the reasons that lenses like this are popular for portraits - there is none of that distortion stretching or squashing the shape of your subject’s face, no matter where they are in the frame.Centre, off-centre, it doesn’t matter. 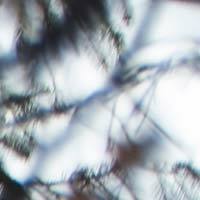 When using the lens wide open and shooting towards light, we found the lens to be severely affected by flare. More than we expected. Shooting into the light can make for wonderful portraits, but if you are using this technique with this lens, then take extra caution against lens flare. The minimum focus distance of 90cm / 2.95ft is standard for a mid-telephoto prime lens. You cannot get too close to subjects, it is mainly used for head and shoulder/ upper body portraits. 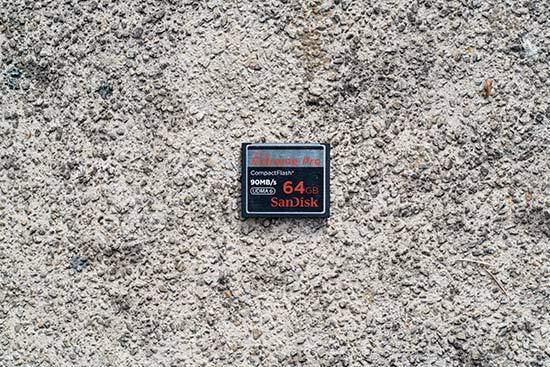 Thisuncropped image show how close you can get to a CF card. 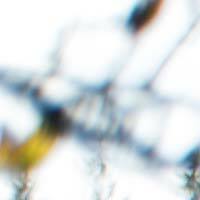 We cannot complete this test without commenting on the quality of out-of-focus areas (bokeh). 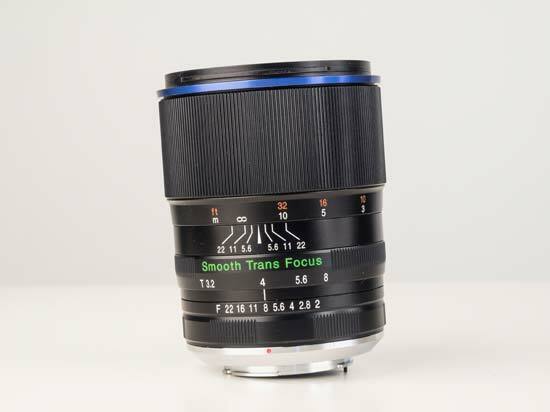 After all, Smooth Transition Focus really is the key selling point of the lens. The STF diaphragm (apodization element) features 14 apertures blades, which is almost twice the number of blades found in most ‘regular’ aperture diaphragms. Indeed, the rear aperture diaphragm in this lens has 8 blades. More blades form a more rounded aperture and in turn create a bokeh effect more pleasing to the eye.The more the aperture of any lens is closed down, the more defined the aperture blades become in the out of focus areas - you’ll see the blade edges. 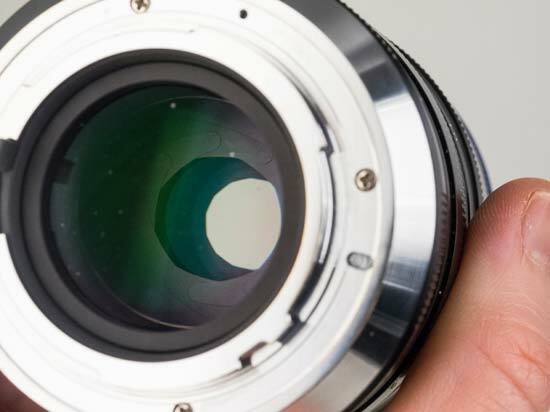 In this case, theadditional aperturediaphragm is designed to further smooth these out-of-focus areas, making lens distortions less obvious.What is the result? With an additional 14-blade aperturediaphragm positioned further from the lens rear, the Laowa 105mm lens is able to producesilky smooth and perfectly rounded out-of-focus areas at T3.2 (and f/2 or f/2.8). The increased smoothness reduces lens distortions in these out-of-focus areas,where in other lenses wemight see fringing. 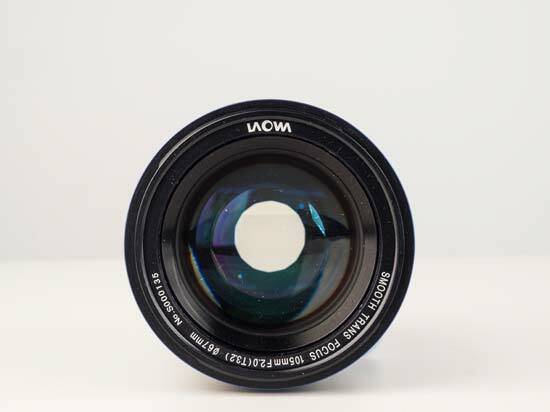 In reality, the difference between this lens and one without an apodization element is noticeable only when looking at images more closely. But the difference is there to see. Ultimately, when shooting with the Laowa 105mm f/2 STF lens diaphragm wide open,we found that the quality of out-of-focus areas does not disappoint.